Recently, I received a call from a client, who was specifically looking for a place where she could take her pet dog along. In India, the idea of “pet vacations” i.e. taking a pet along with you on a vacation is not very common. I remember looking after my neighbour’s pet when they were away for the weekend. But your beloved pet is a part of your family. Some families even celebrate their birthdays, get fancy cakes for them, have their own little corner with their own toys. So, we at shortbreakcompany.com decided to bring to you, pet friendly vacation rental near Mumbai where you can take your pets along! Yes, we know that pets could be dogs, cats, fishes or even turtles these days, but it’s most commonly a dog or a cat. Now you do not need to leave your loved pet in the kennel or at the mercy of your neighbours and relatives when you are busy enjoying. Firstly, make sure that your pet is well trained and behaves itself and does not dirty or harm the owner’s property. Secondly, carry their blankets and other necessities. Lastly, inform us about their food intake needs. So proper arrangements could be made beforehand. Now, let’s take a look a some of the pet friendly accommodation near Mumbai that you could travel to! Built on a vast expanse of farmland, this pet friendly accommodation is a secluded place wherein you can let your pet loose so that they can enjoy an uninterrupted playtime. 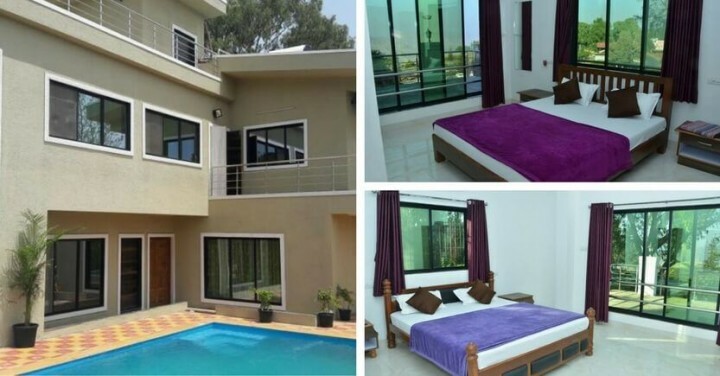 This property in Karjat is also a great place for adventure seekers and comes furnished with modern amenities that will ensure that your stay here is comfortable and enjoyable. 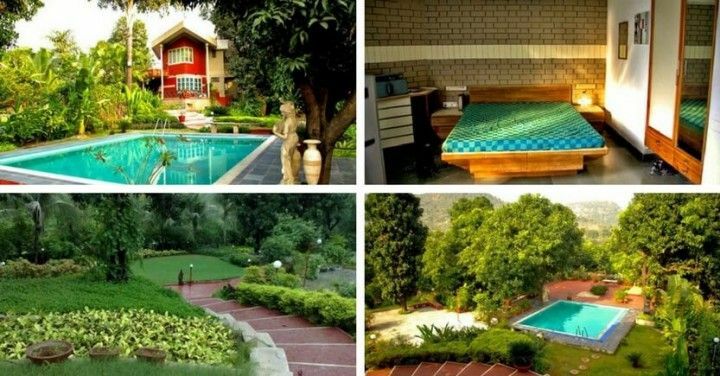 Best part, this pet friendly accommodation in Karjat also provides you with a range of facilities such as a swimming pool, indoor games along with Kayaking in its serene lake. Thus, making it an ideal retreat for a fun-frolicking weekend! Want to check this pet friendly property? Click here or Fill the contact form on your right to book now! An awesome location to have fun with your pet !! We were around 10 people. The property was clean and tidy and the staff was helpful. Highly recommend this property! Jobin Thomas, Travelled in 2016. 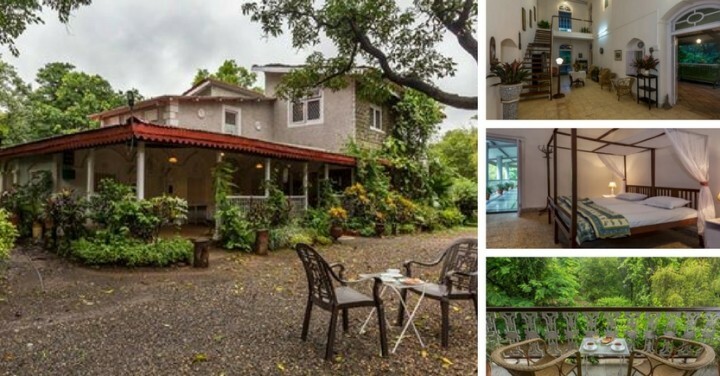 An amazing and expansive farmhouse in Karjat, this property is a quaint homestay that provides a reprieve from the hustle-bustle of the city life. Owing to its huge landscape, you can explore the meadows with your four-legged friend or both of you could just cool off by taking a quick dip in the nearby river. This pet friendly accommodation comes equipped with spacious rooms and fully-equipped kitchen. Plus, you can host an impromptu BBQ party and have a memorable time with your loved ones. To know more about this place, go here! 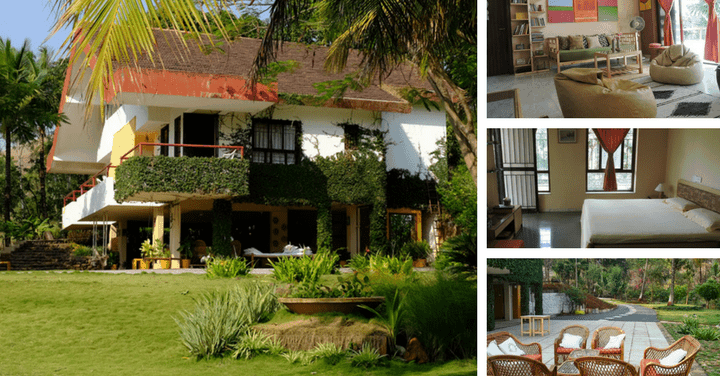 This tranquil Farmhouse in Karjat is one of the best places we have been to. We were a group of 6 and the weather was awesome. It is quite away from the main road but a very good offbeat experience you shouldn’t miss. Plus there is plenty of space and the pets love it too! Mickey Kapadia, Travelled in March 2016. 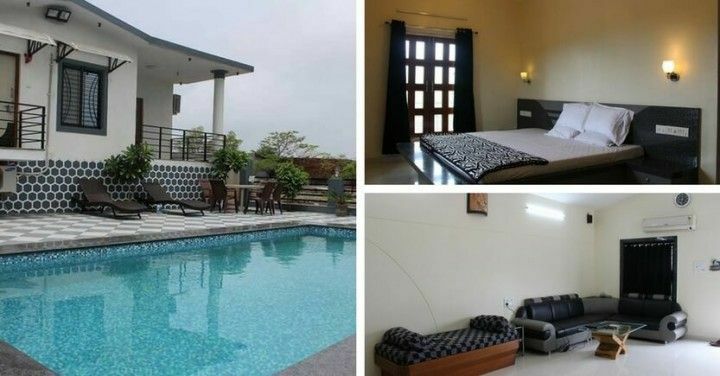 A splendid hillside property that accommodates pets, this bungalow in Lonavala is a cheerful place surrounded by mountains and adorned with greenery. Its extensive lawns are well-tended and can be used to play cricket or football. Additionally, this property offers home-cooked meals that include both vegetarian and non-vegetarian meals. Ideal for a group of up to 20 people, this pet friendly rental is a beautiful getaway wherein you could kick-back and enjoy your holiday! A gorgeous lodge in Lonavala, this lodge welcomes guest with pets and offers an amazing view of the nearby forest and mountains. Apart from being a pet friendly accommodation, this lodge is designed to blend into its surrounding and is eco-friendly. Plus, owing to its close proximity to the rich verdant forest, you can indulge in a range of activities like trekking, mountain climbing, etc. 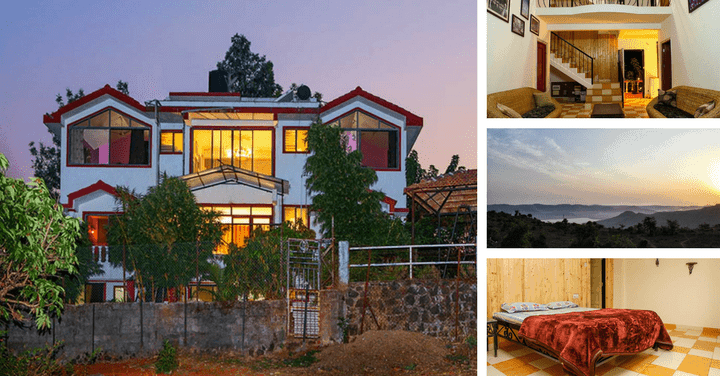 This property is simple yet a comfortable homestay in Lonavala, with polite and friendly staff, and has an in-house chef that cooks scrumptious meals. 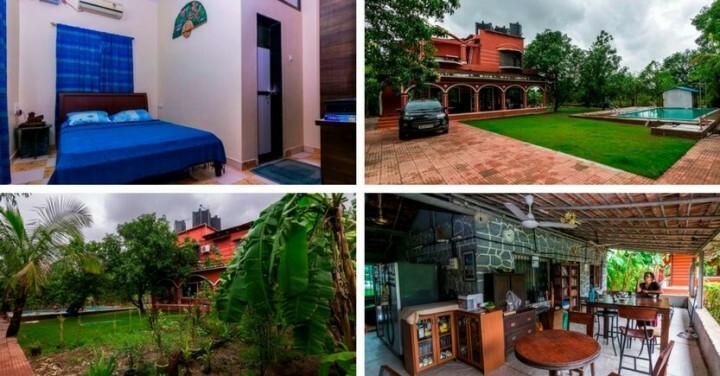 A delightful and refreshing getaway, this farmhouse in Karjat is situated in a quiet neighbourhood and is a luxurious property ideal for large families with pets. This property is comfortably furnished with cosy furnitures, has a well-appointed kitchen and comes with a large outdoor pool. Kids and pets can run and play around freely in its meticulously maintained lawn. While adults can try their hand at driving around the property on ATV bikes or just sit back and enjoy a lazy afternoon. Have a pet vacation like no other! 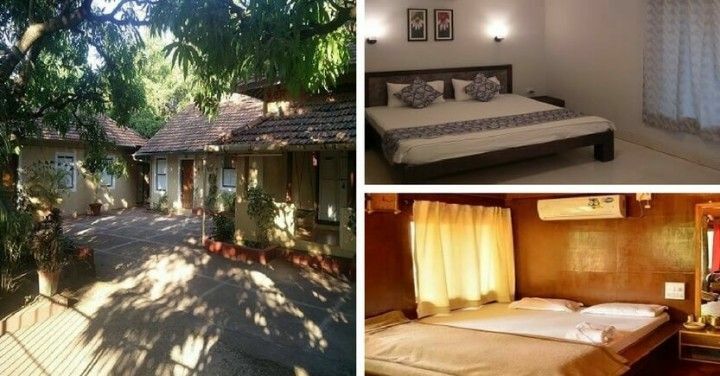 This pet friendly bed and breakfast villa in Murud, with its beautiful well- maintained garden and spectacular scenic view, is the perfect retreat for an amazing getaway. Comprising of all necessary amenities, this property is situated beside a beach making it an alluring homestay for couples with pets. Additionally, this secluded heaven offers you undistributed solitude, wherein you can go for a midnight walk on the beach or just sit on the swing and enjoy the sunset with your partner. To book this property, click here! “Beautiful and most importantly pet-friendly !! Fantastic villa to Stay. We were around 8 people. Our experience was amazing. Loved the place. Staffs were helpful. Highly recommended. Amisha Sandal, Travelled in August 2016. Encircled by an animal sanctuary, this homely lodge at Kashid is a pet friendly paradise comprising of several acres of greenery. You could go trekking with your furry best friend, relax by the lakeside gazebo or just laze around in a hammock all day long. This pet-friendly accommodation has three fully furnished cottages with en-suite. Plus, bath & bed linen, as well as toiletries, are provided for. Best part, this lodge at Kashid serves mouth-watering vegetarian and non-vegetarian food prepared from freshly grown farm produce. Thus, if you are looking for a secluded place, for a getaway with your family and pet, this is the place that you should book! It was an awesome place and would like to visit again Chirag Patel, Travelled in July 2016. 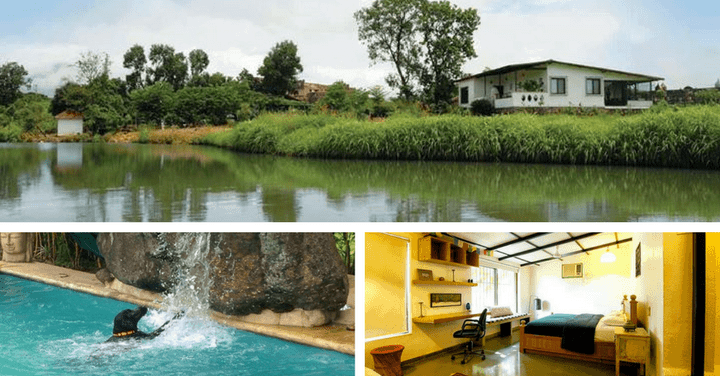 An enthralling farm stay in Nashik, this pet-friendly accommodation situated on the banks of a river is a mesmerising place that provides splendid views amid restful environment. Ideal for a getaway with family or friends, this place provides you with a fabulous stay and can accommodate a group of up to 15 people. Apart from this, it gives you the option of boating, tractor rides along the farm or you could spend your time playing indoor or outdoor games. Intrigued? Go here to know more! Stress from work? 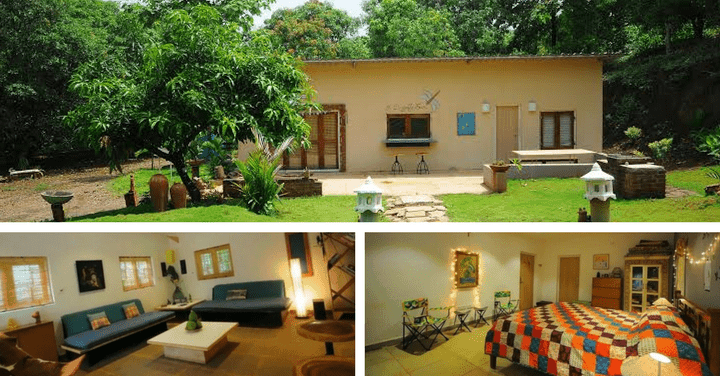 Head out to this delightful farmhouse near Pune for a relaxing holiday. Comprising of a vast expanse of well-maintained lawn and luxury accommodation, this homestay in Pune with its serene atmosphere will diminish the stress and strains of daily life. Moreover, owing to its huge space you can play fetch with your pet or go for a run together, thus, making your pet happy and relieving your own work pressure. For more specifications, go here! Treat yourself and your furry friend to a luxurious getaway! 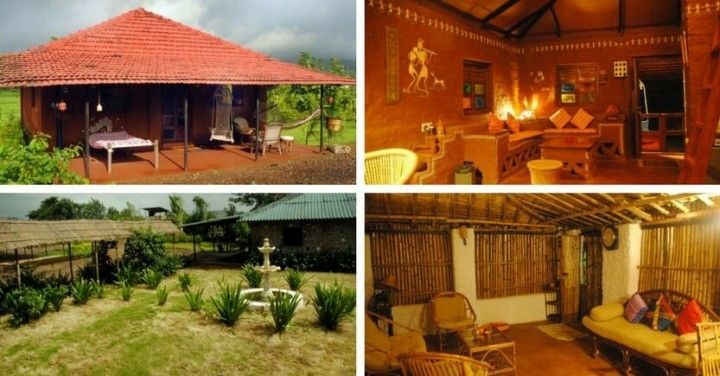 This awesome pet friendly bungalow in Panchgani will present a unique experience for you and your pet. Plus, it will make for a great memory that you can treasure for a lifetime. 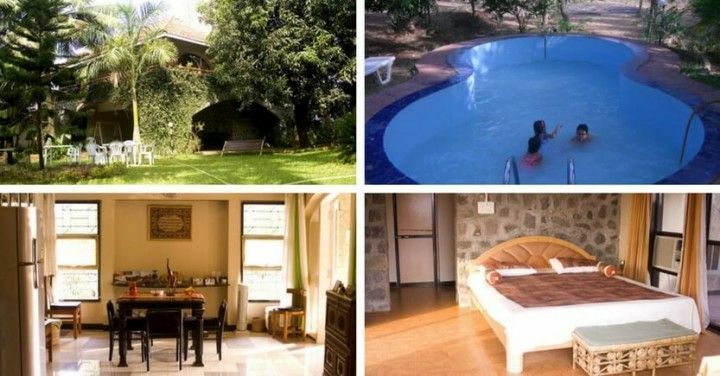 This property can accommodate a group of up to 21 people and apart from all necessary amenities, it also offers you varied options such as sightseeing, trekking, paragliding and more. 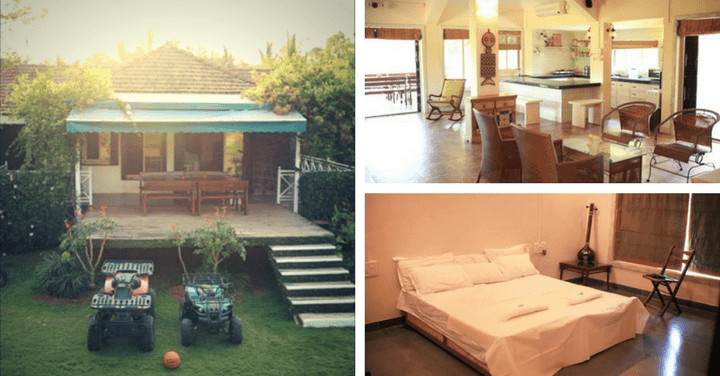 To book this luxurious bungalow in Panchgani, go here! Great spot for a family get together with pet. Beautiful and peaceful sights from the villa along with other services presented were worth the expenditure. Mihika Jagtap, Travelled in July 2016. This beach getaway with its vast expanse of open spaces, luxury accommodation, lip-smacking food, indoor swimming pool and greenery aplenty is a wonderful retreat that you’ll absolutely enjoy. Away from the hustle-bustle of city life and tucked away in a quiet corner, this beach villa in Kashid offers you full privacy to enjoy your pet vacation in complete solitude. 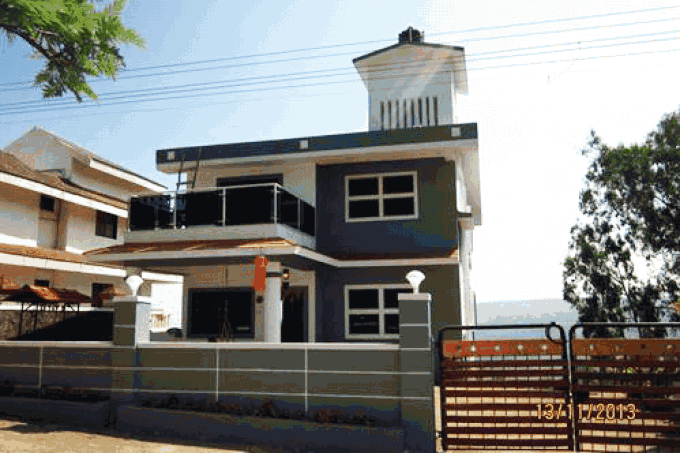 Additionally, with the pristine beach of Kashid just a stone throw away, this property provides you with a serene and peaceful atmosphere amidst the panoramic view of the sandy seashore. Click here to book this stay! 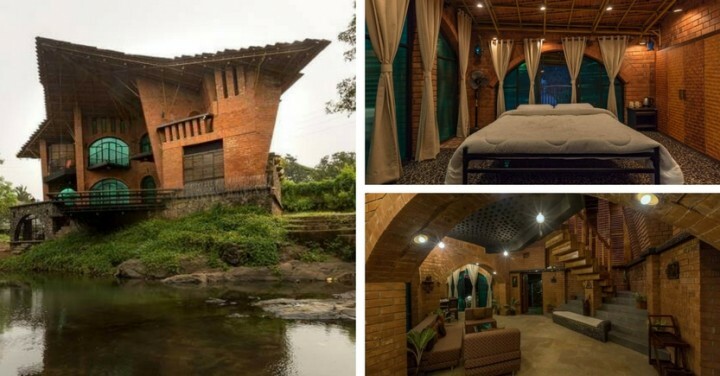 If you are an adventure loving soul then this farmhouse in Karjat is the ideal vacation rental for you. Situated on a picturesque bank of a river and surrounded by thrilling verdant forest, this stay offers you a comfortable & luxurious accommodation alongside modern amenities and a chance to be one with nature as you kick up your feet and relax in this rejuvenating oasis. 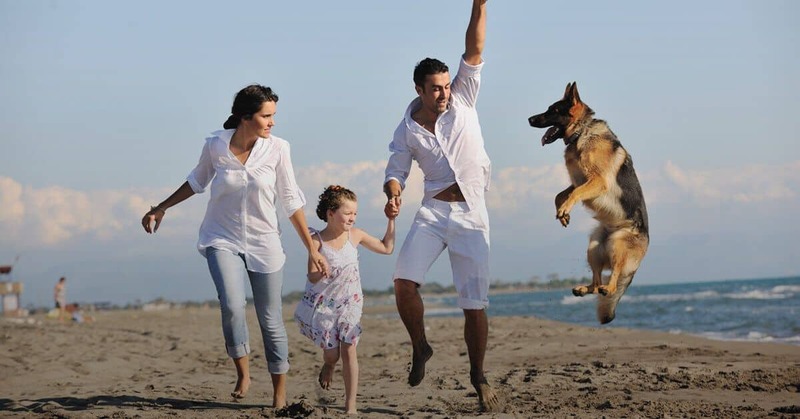 A pet friendly accommodation, this property makes travelling with your pets even more enjoyable as it offers both you & your furry best pal the freedom to enjoy your holiday in a refreshing surrounding without the usual restrictions that are a norm in many pet friendly resorts near Mumbai. Want to book this? Click here! Overlooking the stunning seashore of Kashid and surrounded by mango & coconut plantations, this pet friendly beach resort near Mumbai will meet your requirements of peace and tranquillity and will offer you the best hospitality that’ll make your holiday an enjoyable experience. 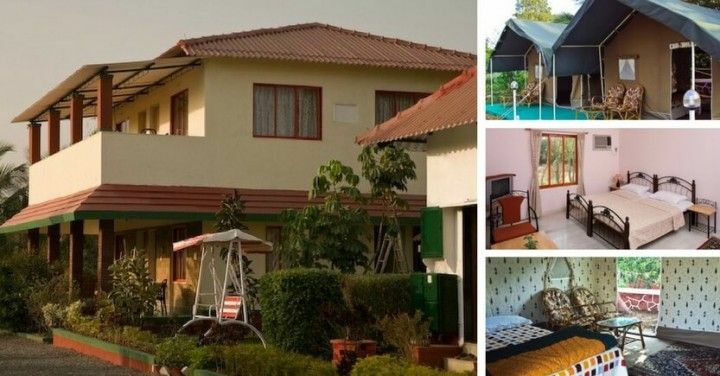 This resort with cottages in Kashid is a well-maintained property with luxuriously furnished rooms accompanied by modern comforts and provides personalised facilities like massage, yoga, delicious cuisine and more. In addition, it also offers you a chance to try your hand at fishing and nature lovers could go visit the Phansad Sanctuary which is quite close to this place! To known more or to book this place, go here! 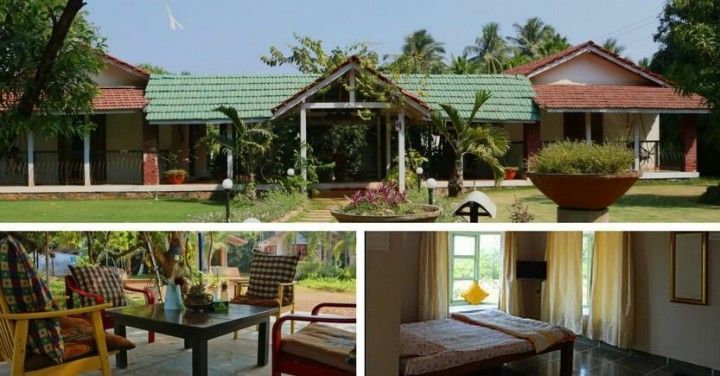 Build on an expansive farmland and encompassed by striking greenery, this pet friendly accommodation is better than any other dog friendly Hotels in Goa. A splendid stay with elegant rooms, open roof-top deck and big swimming pool, this property is fitted with modern comforts such as Wifi, AC, Television, mini-bar and more. Plus, it offers you tasty local cuisine that’ll make this sojourn a heavenly experience. 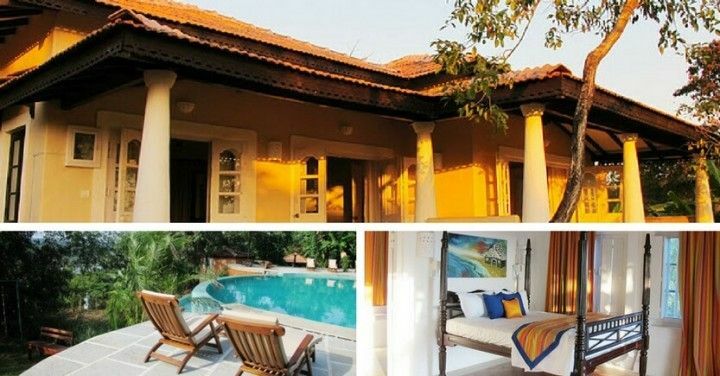 Moreover, for a complete holiday experience, this boutique villa in north Goa can also arrange guided tours like heritage walks, dolphin trips etc on request. So, if you are planning on travelling with your pets, then you must check out this fabulous getaway! Have a travelicious pet vacation with this spectacular weekend getaway in Nagaon. Feast on traditional home-made cuisine, lounge around in cosy sit-out or hit the beach with your pet and enjoy a long leisurely stroll on the quiet stretch of undisturbed shoreline. 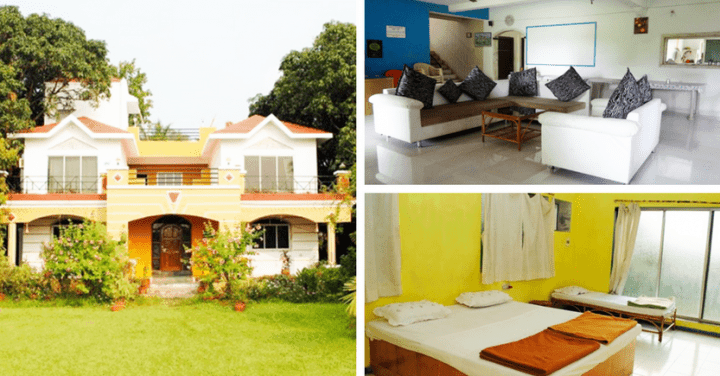 This spacious stay in Nagaon offers private bungalows and villas on rent and the accommodations include all the necessary essentials from well-furnished rooms, AC, TV with cable connection, ample car parking, hot/cold water supply, 24 hrs staff and more. The best beaches in Alibaug is what attracts tourist from all over to this island. However, it’s not every day that you come across a vacation rental so beautiful and charming that you fall in love with it at first sight. 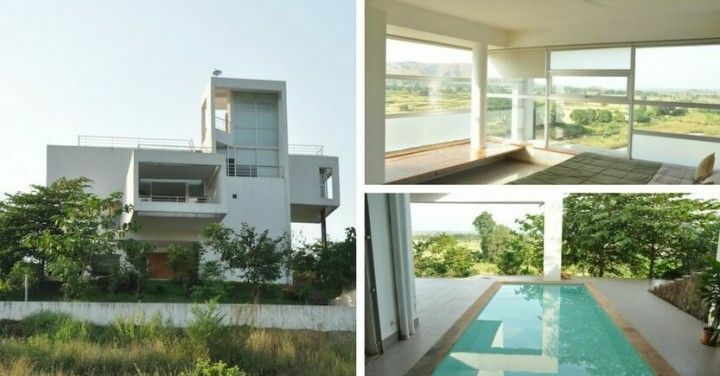 But, this property will surely change your perspective after you visit it. A gorgeous property with stunning interiors and equally fabulous outdoor, this pool villa in Alibaug is a splendid stay for a soothing and rejuvenating holiday. Best part, it is a pet friendly accommodation and as such, it would feel like being at home on this property accompanied by delicious local cuisine, serene atmosphere, tranquil surrounding, big open outdoor space and much more! 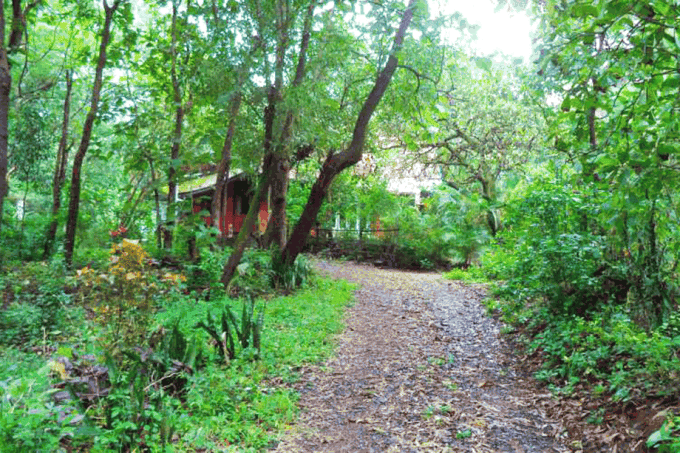 An eco-friendly and pet friendly cottage rental in Pali, this property is a rustic style farmstay consisting of 5 cottages built on different themes. From a wooden lodge and bamboo house to a stone manor and others, this stay is a treat for nature lovers and is surrounded by sweeping greenery providing you with a spectacular view of the nearby mountains. Moreover, as a natural retreat, this farmstay in Pali offers you with plenty of outdoor activities like horse riding, bullock cart ride, nature walks, bird watching along with a chance to taste some authentic home-cooked meals. Thus, if an outdoor pet friendly rental is what you had in mind, then this homestay in Pali is for you! Now travelling with pets in India have become all the more fun & exciting, thanks to the many pet friendly accommodations that don’t have the stringent rules that are followed by many pet friendly resorts. 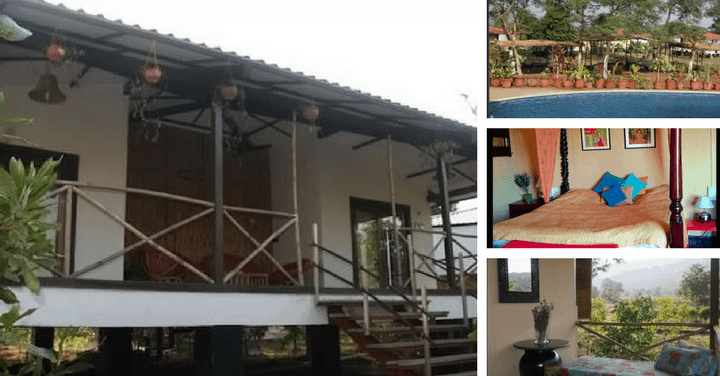 This luxury bungalow in Karjat is one such example of a pet friendly rental that allows you complete liberty to do as you please while you enjoy a relaxing weekend with your family & friends. This bungalow is spacious, tastefully decorated and comprises of a large, well-maintained garden & play area, wherein kids and pets can enjoy to their heart’s content. What’s more, there is also a perennial river flowing right next to the bungalow! 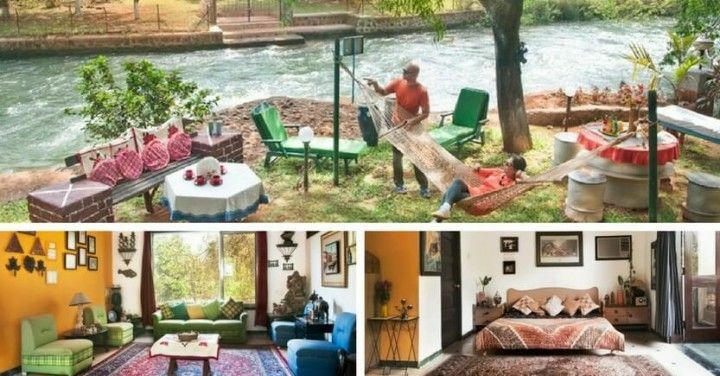 Cool off your frazzled nerve and reinvigorate yourself at this riverside cottage in Karjat. Built with comfort in mind and fitted with all the modern amenities that you may require, this stay is a fabulous getaway just a couple of hours outside the city. 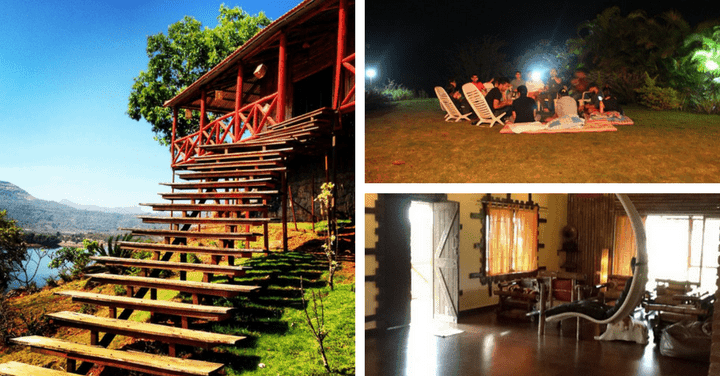 Encompassed in incredible natural scenic beauty, this cottage in Karjat is a fantastic weekend retreat perfect for a one day picnic and offers you restful place to enjoy your weekend break. So, if you are in a mood for a weekend drive with your family and pets then book this pet friendly rental now! 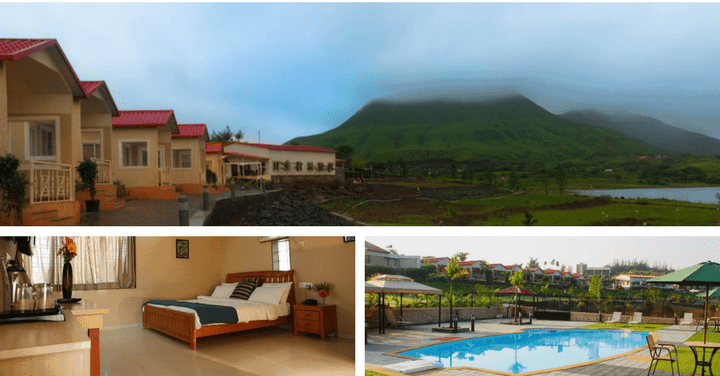 Overlooking the stunning hills in Lonavala, this pet friendly accommodation is a fantastic escapade ideal for a family get-together or small parties. 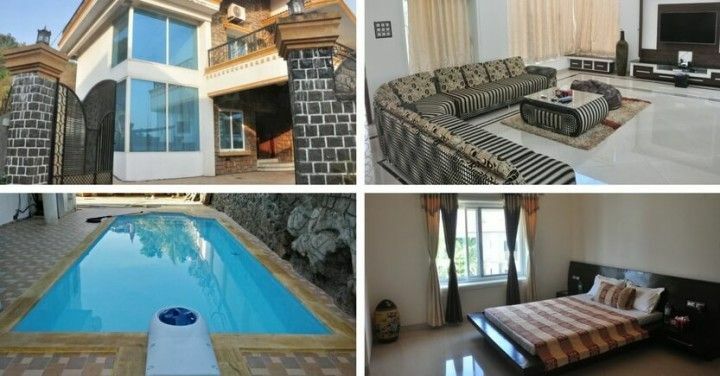 It is a private bungalow in Lonavala and is fully furnished & air-conditioned. There is also an indoor swimming pool and a well-appointed kitchen. Moreover, it offers you a breathtaking view of the natural surrounding right from the comfort of your room. 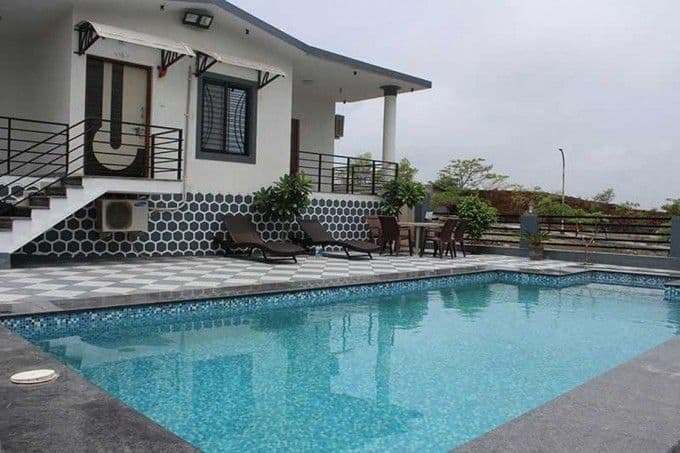 This pet friendly rental can accommodate up to 20 people and if you are looking for a secluded getaway that provides amenities similar to what are offered by pet friendly resorts in Lonavala, then this is the right choice for you. 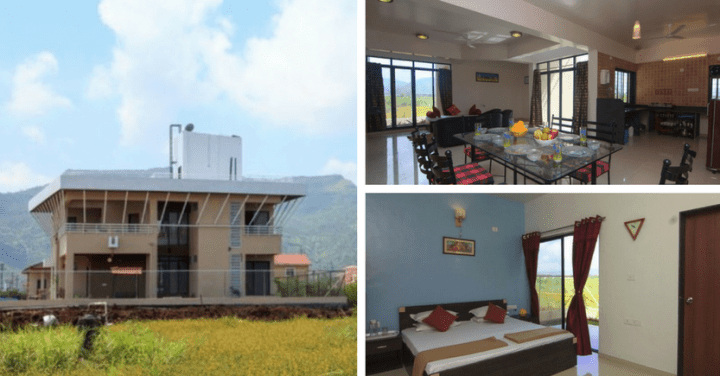 A scenic resort, this place in Karjat is a perfect holiday home with spectacular views and modern amenities like swimming pool, mini-cricket ground, separate kids play area with slides & swings, basketball court and more. Also, owing to its close proximity to the verdant forest this place is also ideal for adventure activities such as hiking and mountain trekking. 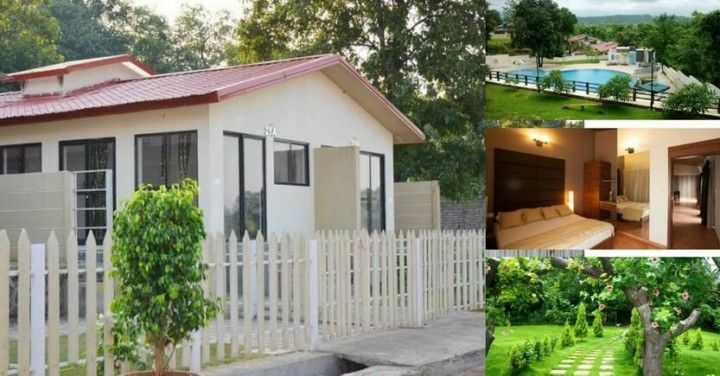 In addition, these chalets in Karjat are located in a peaceful surrounding and as such it makes an ideal getaway for both family outings as well as a romantic retreat. Click here, for more information on this pet friendly resort in Karjat ! Cherish some “quality” time with your loved ones at this pet friendly accommodation in Panvel. Enjoy delicious finger-licking food, lounge in the pool or go explore the nearby woods with your kids and four-legged friend. There is ample of stuff that you can do here – from relaxing and relieving stress to having a friendly match with your buddies in the game room. This place is a private farmhouse away from the urban jungle and is a well-maintained property with friendly, courteous staff and comfortable rooms. Perfect for a group outing, team getaways, family picnic and more, to book this property for the weekend, go here! Hankering for a taste of the great outdoor? 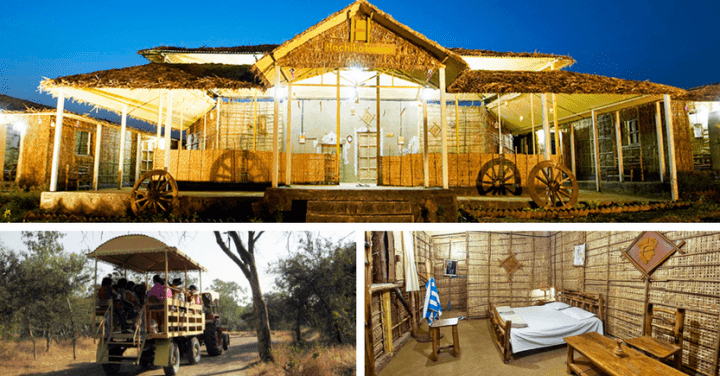 Well, these traditional Cottages in Dapoli with its spacious accommodation and lush green surrounding is what you should book right now! 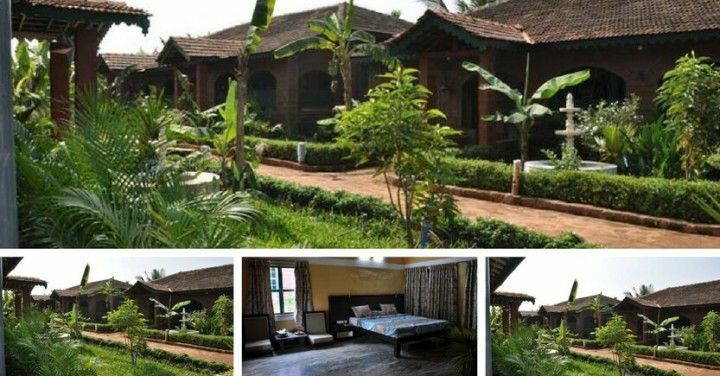 Encompassed by spice and coconut plantation, this scenic resort in Dapoli offers eco-friendly stays with refreshing environment along with authentic Konkani & Maharashtrian cuisine that’ll tantalise your taste buds like no other. Further, it offers you facilities like gymnasium, library & more. Plus, you can go on a dolphin watching tour, plantation visits, nature walks etc while staying at this pet friendly vacation rental. A spacious property situated in the midst of the Western Ghats, this pet friendly vacation rental is an astounding property with vast open spaces, comfortable and elegant living quarters, luxury patio & private terrace that offers you a picturesque view of the nearby greenery. Moreover, it provides you with all modern facilities such as TV with DTH connection, music system, hot and cold water, car parking facility and more. Plus, there are various indoor games available that’ll keep you kids happily engaged. From bonfire to outdoor activities like nature walks, trekking and more, this property is truly a delightful holiday rental for a perfect vacation with your family and friends. So if you are ready for a pet friendly vacation, then book this Villa now! 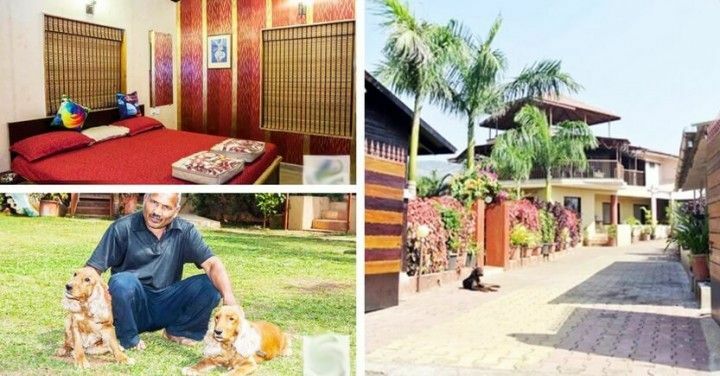 While there are ample best resorts in Alibaug, if you are travelling with your pets and want a place where you & your furry friend can relax in peace then you can’t go wrong with this pet friendly accommodation. A vintage homestay with traditional charm and tranquil atmosphere, this property gives you a peek into the glorious era of the past without comprising on modern comfort. Surrounded by coconut and beetle nut plantations, this traditional homestay is a rejuvenating retreat that offers modern amenities like swimming pool, AC, indoor games and more. In addition, the authentic food served at this property is so delicious that you can’t help but eat to your heart’s content. For more information on this splendid property, click here! 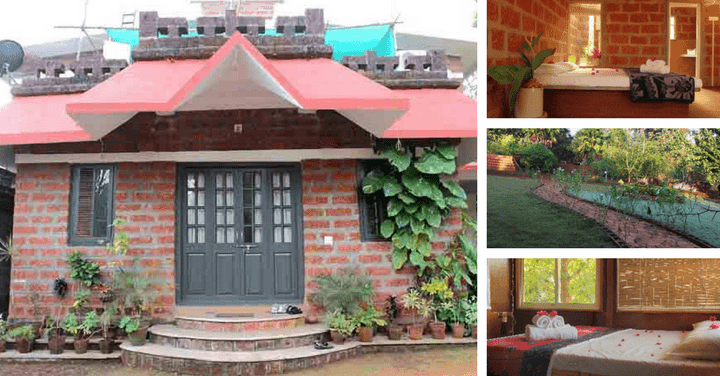 A cosy cottage set in an idyllic location and surrounded by the verdant forest, this cottage at Mulshi is a sprawling homestay that’ll be loved by your kids and pet. This homestay is fully furnished with large outdoor space that includes kids play area, shacks, small gazebos and more. There is a full-time caretaker available at this property to look after your needs and meals include both vegetarian and non-vegetarian food options cooked in local style. 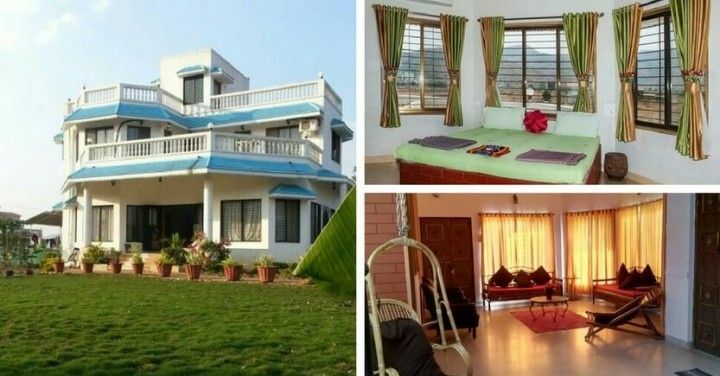 Best part, owing to its close proximity to the forest you can indulge in mountain climbing, trekking or nature walks, which when you compare to the mundane pet friendly hotels in Mulshi, makes this homestay an attractive accommodation option. Want to book this pet friendly cottage rental? Just use the contact form on your right or to know more about this homestay, click here! Forget the usual pet friendly resorts and hotels and try out something new with your best furry pal at this rural stay in Junnar. A well-maintained property, this place offers you homely rustic huts wherein you can experience the joy of simple living amidst nature. These huts are built on a vast farmland and as such you get a first-hand experience of rural life as well as a chance to taste local delicacies prepared from fresh farm produce. There are also ample of outdoor activities that you can take part in such as bullock cart riding, plantation walks, fruit picking and more. So, if you are feeling adventurous and want to try something offbeat then give this pet friendly accommodation a try. Check it out now! 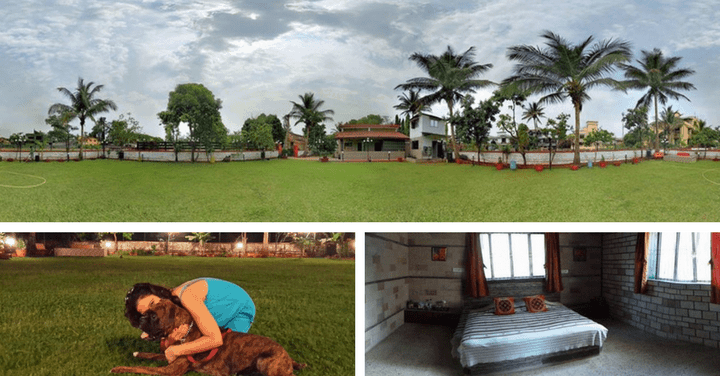 Alibaug is a perfect weekend escape for a pet friendly vacation as there are a wide variety of best places to visit in Alibaug that you can explore with your four-legged friend. This bungalow in Alibaug provides you with all the facilities that’ll make your holiday truly enjoyable. A spacious property with well-maintained lush green lawns and hammocks, this homestay is a fantastic stay that’ll reinvigorate your senses and calm your stressful mind. With plenty of indoor and outdoor games to keep your kids occupied and facilities like barbeque and swimming pool, this property provides a good value for your money. Plus, it offers you scrumptious home-cooked vegetarian, non-vegetarian and Jain meals that’ll excite your taste buds. For more information on this property, go here! Here is an excellent home away from home for your furry best pal that provides you with the best of modern amenities at a budget lower than any pet friendly resorts in Lonavala. 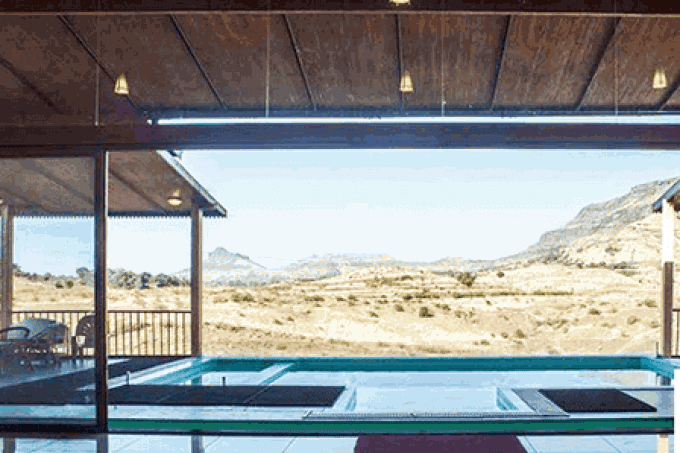 This accommodation is situated in a quiet neighbourhood and is surrounded by mountains & vast open spaces. This pet friendly rental is a fully furnished 4 bedroom bungalow designed in a simple yet elegant manner and consists of facilities like well-equipped kitchen, TV sets and an open terrace. The outdoor area comprises of a shack, a volleyball court and a swing set. Moreover, it offers you home-cooked meals and can accommodate a group of 15+ people. 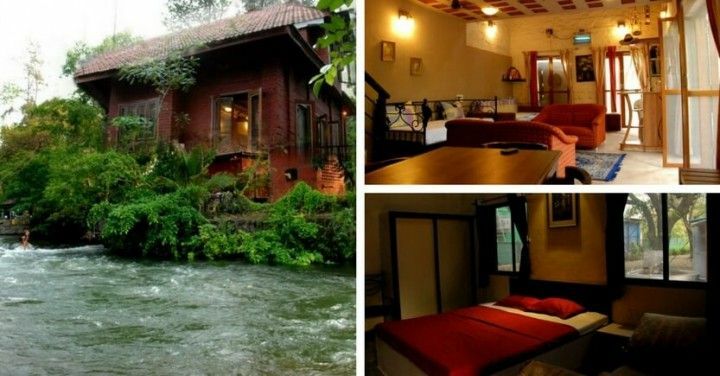 Thus, if a private getaway is what you are looking for, then click here now to book this homestay. 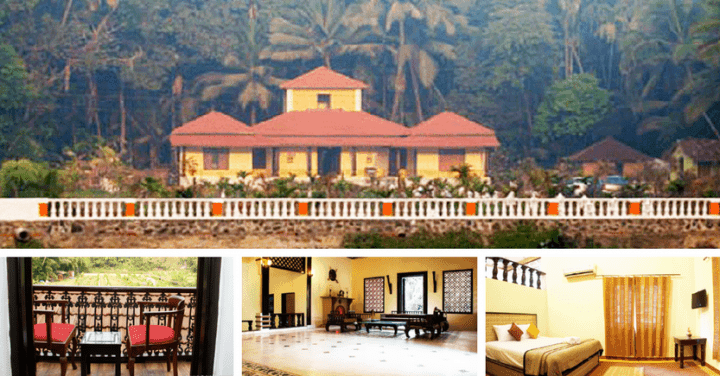 An adventure lover’s paradise, this farm stay in Devrukh offers you a chance to explore the traditional Konkan culture in all its glory. From visiting local temples and experiencing local folk dance, to bullock-cart rides and activities like fishing, pottery, bird watching, trekking and more, there are a great many opportunities for you to have a really fun time with your family and friends. Further, this pet friendly rental surprises you with a host of services and modern amenities that’ll refresh you like no other. Plus, it also provides you with authentic Konkani style cuisine that is wonderfully scrumptious in its simplicity. For more information on this pet friendly resort, go here! 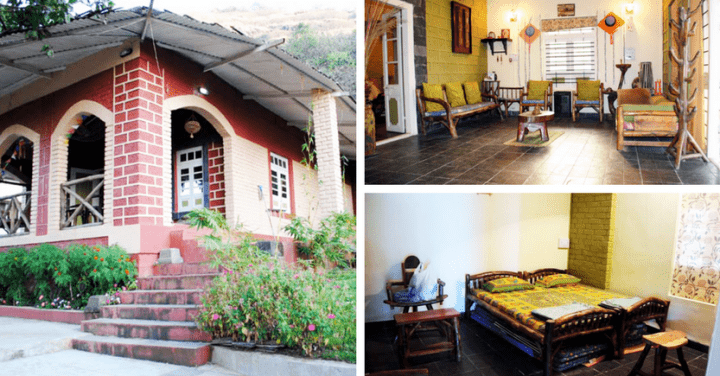 Overlooking the magnificent mountains, this well-maintained bungalow in Lonavala is a beautiful and relaxing homestay that offers privacy and solitude for the city weary soul. The bungalow has 9 well-appointed bedrooms with a private open deck, a large dining area and is fitted with TV, music system and more. The outdoor area comprises of a well-manicured lawn & a large swimming pool. 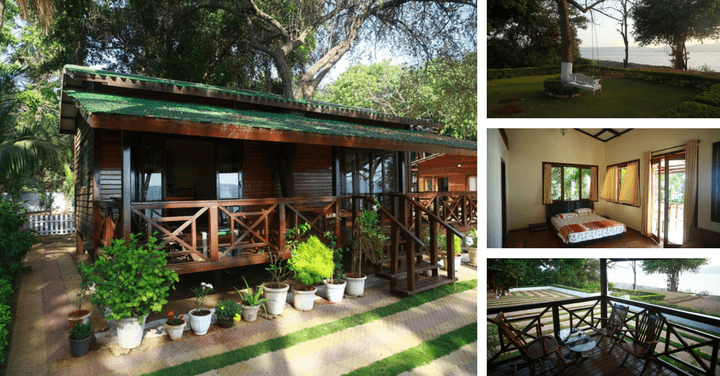 One can make use of this bungalow to host birthday parties, small events, team outings and more. Plus, you can have a bonfire and barbeque night or embark on a trekking adventure with your four-legged friend. This pet friendly accommodation is a great stay, especially for those who want to enjoy an undisturbed weekend with their loved ones. To know more about this homestay, click here or use the contact form on your right to book this right away! 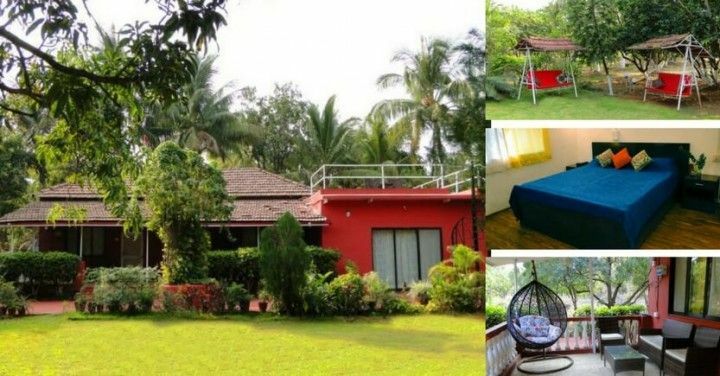 While there are many amazing homestays in Alibaug that you can book from, this pet friendly accommodation in Alibaug is a spacious & quaint property ideal for a family and group getaway. The rooms available at this place comprises of cottages and luxury tents. It has a designated kids play area. In addition, there are ample of indoor and outdoor games available here to keep you happily engaged. The surrounding woodlands, makes this pet friendly vacation rental a perfect getaway for those who love trekking and hiking activities. Plus, it has an onsite restaurant that serves delicious home-made coastal cuisine that’ll delight your taste buds. Hence, book this stay in Alibaug now for a stress-free and relaxing weekend getaway! Your search for a quick getaway for a pet holiday ends here! This weekend home is a private accommodation tucked away in quiet corner of Karjat and set in the midst of abundant greenery. Comfortable accommodations complemented with modern conveniences and scrumptious veg & non-veg meals make this place an amazing spot for a one-day or an overnight picnic. In addition, it also has an indoor pool with a deck. Situated close to a river and providing you with acres & acres of grasslands, where you and your four-legged friend can stroll around for hours, this place is a perfect retreat for a city weary soul. Want to visit this place? Click here to book now! Enjoy the comforts of modern amenities alongside the mesmerising views of verdant forest, mountains and lake at this splendid resort near Lonavala. Designed to provide you with an exceptional taste of exotic vacation, this place offers luxurious accommodation and fine dining experience in the midst of natural surrounding. You can go trekking with your furry best pal or relax at the pool with your loved ones. For kids, there are various indoor activities available and for adults, there are special facilities like an indoor jacuzzi, mini-bar, WiFi and more. A trip to the nearby lake will leave you spellbound. Whereas, the incredible views of the enchanting forest, from the comfort of your room, will delight your soul. This place is ideal for couples, a family with kids and small groups of friends. So, don’t wait longer and book this awesome stay right away for an exotic getaway! A picturesque villa, go here if you are a nature enthusiast! 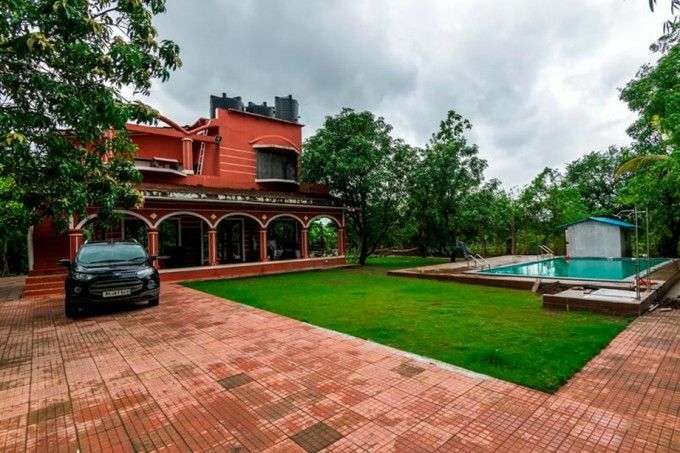 This villa in Igatpuri is a cosy accommodation encircled with lush green fields and misty hills. The interior is spacious and beautifully furnished with contemporary furnishing. While, the outdoor comprises of a large well-manicured lawn, perfect for activities like cricket, football, badminton and more. There is also a swimming pool at this property and you can indulge in finger-licking food prepared in local-style. You can also explore the popular nearby tourist areas around this place and to make this holiday more special, you can go on a hiking expedition with your friends and pet. 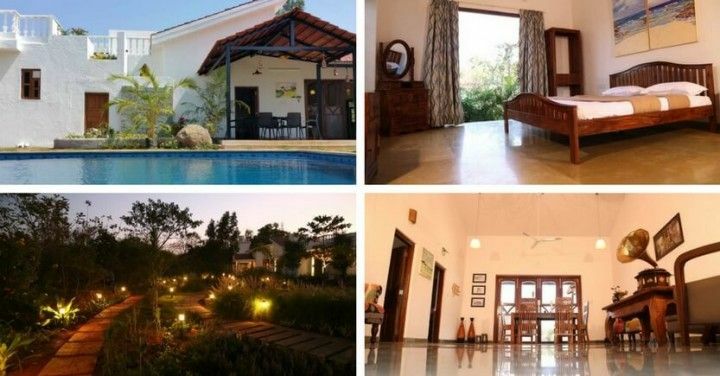 For more information on this pet friendly villa in Igatpuri, go here! A gorgeous holiday home away from the chaos of the city, if you are looking for a quiet place surrounded by bountiful nature for your next weekend getaway then this is just the place you need. Spacious living accommodation accompanied by comfortable rooms and a well-maintained outdoor area, this place will rejuvenate your mind leaving you refreshed. Situated on a hilltop, this villa also has a swimming pool and a well-appointed kitchen, wherein, you can cook your own meals or you could ask the host to arrange a cook for you for additional charges. Take a break this weekend and head to this marvellous vacation rental in Karjat with your pets. Nestled in the midst of greenery and surrounded by majestic mountains, this villa offers you contemporary amenities like TV, music system, indoor games, a well-facilitated library and more. Additionally, it has a huge outdoor swimming pool for that much-needed respite from the heat. Best part, there are ample of exciting outdoor activities that you can enjoy such as camping, trekking etc. Plus, they serve scrumptious meals at this place made from organic farm produce. Sounds Exciting? Then book this stay now for a fun weekend! Surrounded by verdant forest, this amazing vacation rental in Kashid is just what you need to blow away the cobwebs of mundane life. Cosy and relaxing with pleasant environs, this bungalow built on a large farmland is a delightful retreat providing you with a perfect blissful vista to rejuvenate at leisure. 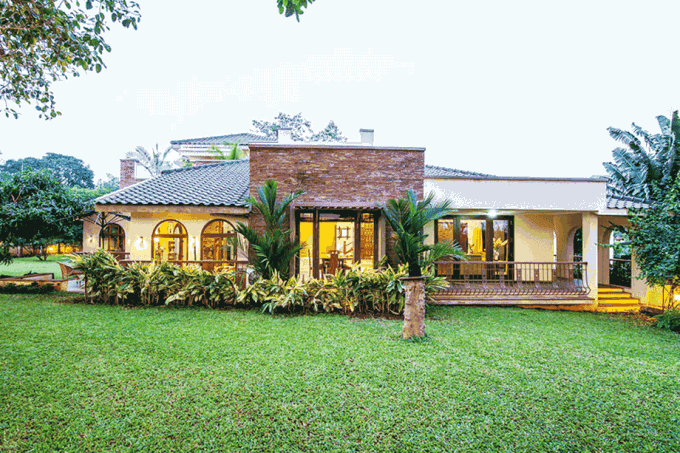 Style to replicate the essence of Kerala, this bungalow comprises of 5 spacious bedrooms with en-suite. All rooms are fully air-conditioned, have a double bed and are fitted with large windows that offer you a spectacular view of the nearby greenery. 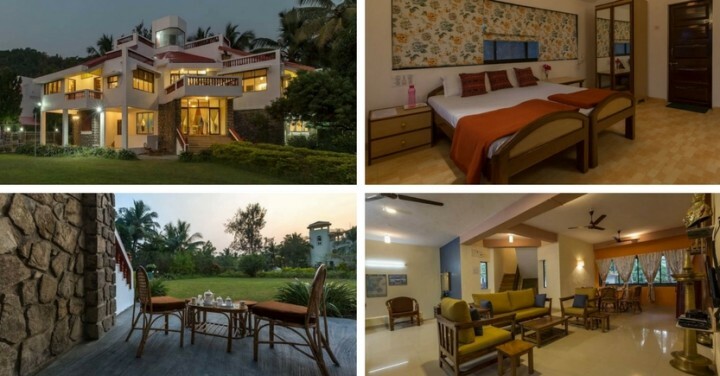 Offering you indoor facilities like a well-equipped kitchen, a library, tennis table, carrom and more, this pet friendly vacation rental in Kashid is suitable for small events and can easily accommodate a group of up to 15 people. So if you want to book this holiday home then make use of the Contact form on your right, now! 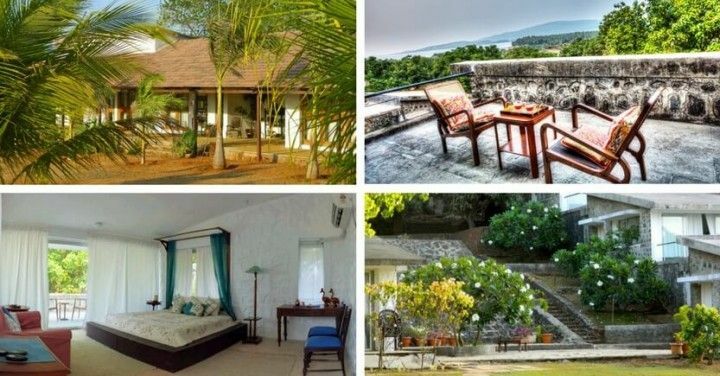 A magnificent holiday home just a short drive from Mumbai, this farm stay will leave you breathless with the splendid natural beauty surrounding it. Built on the shore of a river and design to meld in with nature, this stay is a spacious accommodation done up in Stone-styled architecture and design, providing you with the taste of the old-world charm and contemporary comforts combined. This pet friendly getaway in Panvel comprises of 2 fully-furnished bedrooms with en-suite and a private jacuzzi. For those who love the outdoors, this is a great retreat as one can indulge in activities like hiking, trekking, fishing and more. Best part, it offers you an indoor plunge pool that overlooks the serene river and the towering mountains. A great holiday rental for couples and small family, if you want to spend some uninterrupted time with your loved ones without hopping on to a plane and travelling to faraway destinations then this is just the place you were looking for. Intrigued? Well, send us your enquiry now by filling in the contact form on your right! A rustic-styled homestay nestled amid greenery and close to a perennial river, this farmhouse is an ideal sojourn for those looking for a quick break from the city with their family and friends. Kick-back and unwind as you sip on your morning cuppa and listen to the crooning of birds. Stroll along well-marked forest area as you let the serenity of nature calm your troubled nerves. Or take a quick dip in the river to rejuvenate your body and mind. There is no dearth of the things that you can do here and to keep your kids engaged there are ample of indoor games available. Built on a vast acre of land, this place is perfect for a pet vacation and consist of 4 bedrooms with attached bathrooms. Plus, you can also indulge in delicious home-cooked meals as per your choice. A wonderful retreat for the weekend. 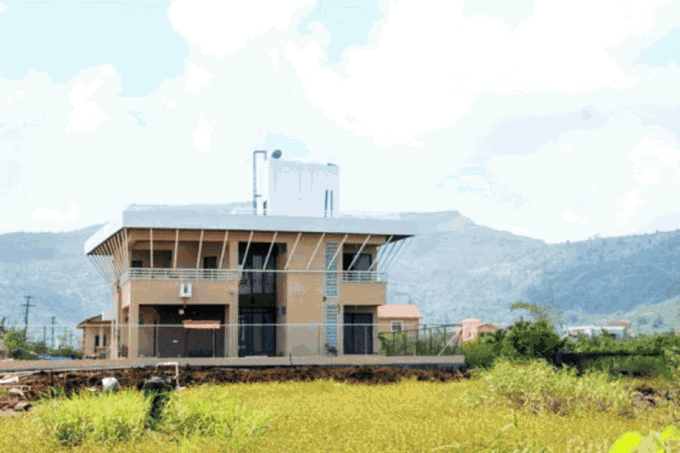 To know more about this farmhouse, send us your enquiry via the contact form on your right! Now that you have a list of the top 40+ pet friendly accommodation near Mumbai, where your furry friend can tag along, just select a place and jet-set with your pet to make the most out of your holidays! If you have any queries, contact us here! Want to Book? Send an Enquiry!